Profile Response: Lyman Paden, Houston, TX | How Will We Live Tomorrow? Lyman Paden is a finance specialist who coordinates billion dollar deals for corporations as a partner at Baker Botts, an international law firm headquartered in Houston. Lyman and I went to high school together in Norman, Oklahoma. He attended Rice University, Stanford Law School, and then returned to Houston where he’s become a local expert on this boom and bust town’s development. He illustrated much of the city’s history and growth by pointing out landmarks from his 32nd floor office window at One Shell Plaza. 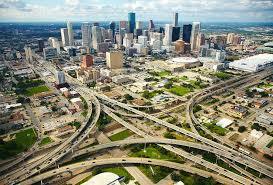 “Houston was founded by the Allen brothers, who were real estate developers. The city has been run by real estate developers ever since. “The city fathers planned the I-610 loop after World War II. 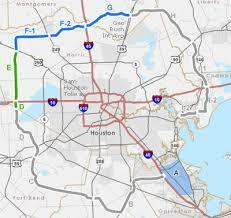 At the same time they planned the Beltway (Texas Hwy 8), ten miles outside downtown and the Grand Parkway (Texas Toll Road 99) fifteen miles out. They had that much confidence in growth. Today over two million people live beyond the Beltway. All of that has changed. 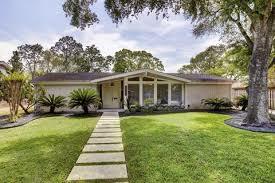 “Tanglewood was one of the first developments after World War II. It was west of the city, ranch houses on wide lots all designed around cars. It was very popular and altered the development pattern of the city. Houston is famous for having no zoning. Yet despite the occasional pop-up high-rise or professional office in a residential area, the city fabric has a logical, property-value driven logic. 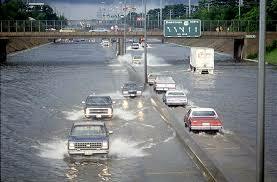 Still, the lack of zoning creates unusual conditions. “There were no provisions for how to retain our neighborhood covenants beyond one hundred years.” Lyman’s neighborhood was not alone in this conundrum. The State of Texas intervened and determined that local covenants could be extended with a majority vote. “There was no way we would get a unanimous decision from 600 home owners. Someone would want to add a second unit to their corner lot or open a dentist office.” The first person to add a rental unit would realize a large gain, but if everyone did it, the quality of the neighborhood, and its property values, would decline.” Due the State’s intervention, Lyman’s neighborhood will likely continue without major change for the foreseeable future. “How do we get away from being a bi-modal society? When we were in high school, it was more of a bell curve. We’re bimodal in that some cities are more viable than others, and bimodal within a given city. In places like Houston you have vibrancy. Then we have places like Detroit. Have we ever had communities, other than resource driven ones; that contracted? We have never had such urbanized places reducing. One hundred fifty years ago we got connected by plumbing and electricity. We were grounded to a place. Now we are connected electronically and less tied to our urban fabric. 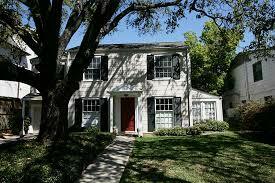 This entry was posted in Responses and tagged Baker Botts, Houston TX, Lyman Paden, Rice University, zoning. Bookmark the permalink.